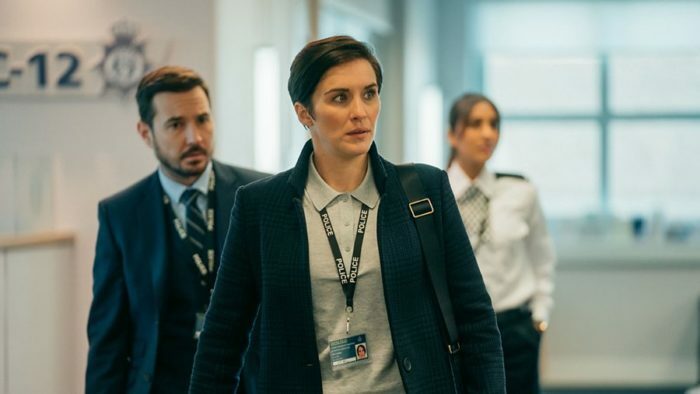 Line of Duty's ridiculously gripping fifth season gets twistier and turnier with every new, tiny detail. This contains spoilers for Episode 2 of Line of Duty Season 5. Not up-to-date? Read our spoiler-free review of the opening episode here. When the BBC One Twitter account releases a list of acronyms so you can understand what the hell people are saying in Line of Duty, you know you’re in for a good time. Need to track down the ED905 stolen by the OGC? Why, that’ll be the folks from AC-12 you want, guv’nor, and watch out for that UCO, FYI! But the odd abbreviation flying over your head is all part of the fun with Jed Mercurio’s cop drama, which relishes in the kind of attention to detail that lesser TV shows wouldn’t bother with, and makes the whole thing convincingly confusing – and, more to the point, gripping as heck. 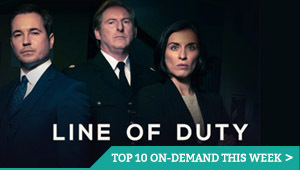 We pick up Episode 2 with Kate Fleming (Vicky McClure) and Steve Arnott (Martin Compston) looking at the body of Maneet Bindra (Maya Sondhi), after she was killed by John Corbett (Stephen Graham) and his crew, while trying to get in with them and report back to AC-12 – an ill-fated attempt to make amends for her betrayal of the police in the first place. But while McClure and Compston put in a moving display of regret, the most fascinating reaction comes from Corbett, who, as we learned in Episode’s 1 big reveal, is the UCO they were all chasing. UCO? Undercover officer, of course. And he’s infiltrated an OCG – “organised crime group”. Keep up. Given the name John Clayton, he’s supposedly so far in with this gang that he’s now risen through the ranks, leaving him in a position of power – and able to get one step closer to the elusive puppet master pulling the strings, who we believe is the super-corrupt super-cop “H”. But is he really just trying to maintain his cover now? Or has he gone rogue and sold out for a life of crime altogether? Graham is almost annoyingly convincing at selling both, and he flips between each possibility, often within the same line of dialogue. It’s an inspired bit of casting, because Mercurio makes him the opposite number of Adrian Dunbar’s Ted Hastings, who may or may not be “H”. (No, no the one from Steps – although that would be a surprising twist.) Dunbar is equally good at playing the “honest or corrupt?” game, and the more we watch, the more we suspect that he’s probably innocent and Corbett is probably guilty. Yes. Definitely that. Or the other way round. While both men are magnetically enigmatic, Compston’s straight-shooter (complete with his aptly Captain America-esque beard) gets a chance to shine, as he follows in Maneet’s fooststeps, using the payphone code to contact the gang. They’re having none of it, though, capturing him on camera. “He’s a cop. Steve. Or Arnold. Or something,” says a henchman, in what might be the best ever takedown of Line of Duty’s generic character names. Steve promptly gets captured by Corbett, who pitches his undercover case to the AC-12-er. “Bent coppers are vermin,” he declares, with no hint of irony. It’s made all the more tantalisingly hard to decipher, after we see Corbett deliberately stop one of his lads from shooting some police officers dead, all while robbing a police stash of armed rifles. A chat between Steve and Corbett’s wife only muddies the waters further. Corbett goes so far in his ranting to explicitly accuse Ted of being “H” (again, not Steps), reminding us all that Hastings previously shot one of the gang members dead last season, just when they might have questioned them for more information. And it’s that accusation that this episode really sinks its teeth into, as Steve (foolishly not telling Kate) agrees to work with Corbett and play whack-a-mole, even if it does mean bopping his gaffer on the noggin. And so we get one more glimpse of Ted’s sorry home life, his marriage gone sour after he fell foul of a property investment. And we get a glimpse of his computer system, which is suspiciously similar to the OS used by the OCG to communicate with H. And, just to top it all off, we see that he’s not entirely adverse to getting a drink with a dodgy fella who may be able to help compensate him for his financial losses. That to us, though, is one red herring too many, and looks more like someone getting ready to frame poor Ted with a sudden dump of cash in his bank account. But what about this Detective Superintendent Powell we keep encountering? The head of Operation Pear Tree apparently kept steering Corbett’s investigation to focus on “low-level targets”, rather than senior figures of authority, and certainly doesn’t like AC-12 sticking their noses in. And what about Lisa (Rochenda Sandall), Corbett’s number two, who has been in the gang far longer and doesn’t trust him? But there’s no time to think these things through while the show’s on, because Mercurio has already rushed us to an absurdly nail-biting cliffhanger, which sees the survivor of the season’s opening hijacking, Jane Cafferty (Sian Reese-Williams) – who, we learn, was bent after all – given a pile of photos by Steve to identify the person who recruited her. 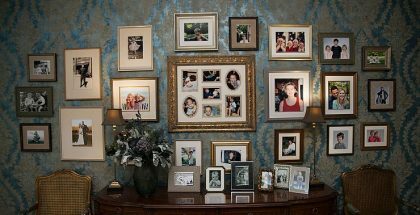 Steve, cheekily, stops at the filing cabinet to add what we think is Ted’s mugshot to the collection – while Hastings himself looks sternly in through his office window. The show might as well explicitly taunt us by writing “YOU REALLY WANT TO KNOW IF TED’S TRAITOR, DON’T YA?” on the screen before cutting to the end credits. Either way, it’s bang OOO. (Out it order.) Needless to say, we’ll be tuning in next week.